LED light bulbs, or LED "lamps" as referred to in the lighting world. These bulbs replace your existing bulbs, one-for-one. Where there are no existing bulbs (as in new construction), this involves specifying traditional fixtures and then selecting LED lamps compatible with those fixtures. Integrated LED fixture products, in which the LED light and fixture are one unit. Such a lighting product connects directly with track or main line voltage. If you have existing fixtures, this option involves removing and disposing of those fixtures. Enormously popular in retail for its flexibility and mobility, track lighting refers to a lighting system in which a rail carrying line voltage electricity runs along the ceiling. Trackheads affix to the track anywhere along its length and can be moved and refocused at will. In the LED lamp option, a lamp with the desired output, beam, and color temperature characteristics is mounted inside each trackhead. LED bulbs are widely available that are compatible with a range of possible trackhead bulb types. The integrated LED fixture route involves an LED chip or chips mounted directly into the trackhead. 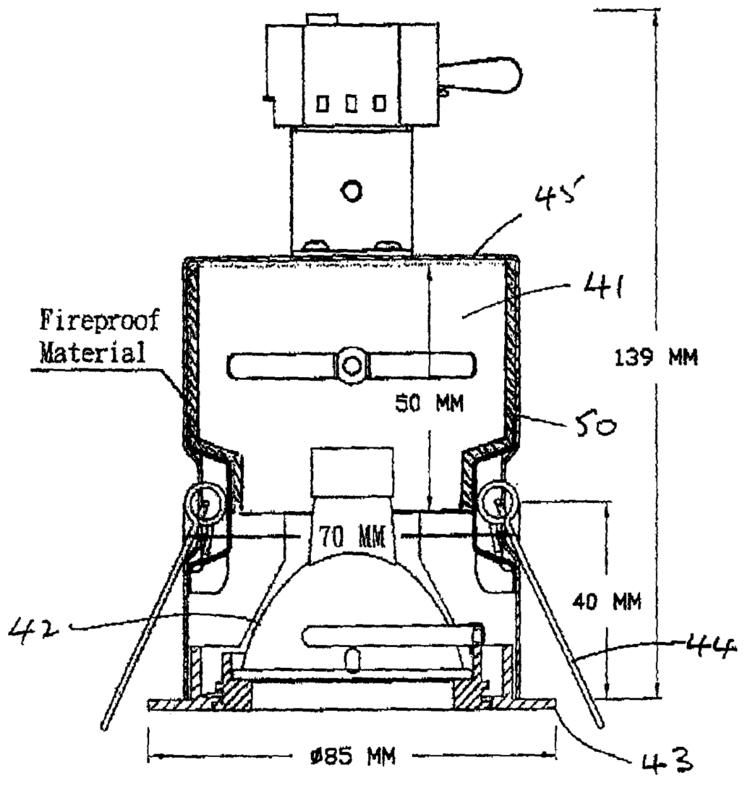 The product is then attached to the track in the standard way—and can be similarly moved or focused. In very brief: no qualitative difference. The universe of LED products has a wide variance in quality, but what we mean by “no difference” is simply that there is nothing an integrated product can do from a light quality perspective that a lamp-only product cannot. LED lamps can product the same amount of light, both on lumen and footcandle bases as integrated products. The same is true for color rendering, color temperature, color consistency, lumens per square inch of aperture, or any other metric that we’ve been able to identify. One might argue that some fixtures are particularly pleasing aesthetically, and that may be true, but is not unique to integrated LED products. A conventional (ie. non-LED-specific) trackhead costs $20-30, and a top quality directional LED lamp costs $25-75 depending on desired output and size. Integrated LED trackheads cost $110-350. The integrated product solution is multiples more expensive no matter which LED bulb you need. If you are retrofitting, and therefore already have trackheads with which you are happy, the redundant head makes the cost discrepancy even wider. An additional concern here is cost of maintenance. In an LED-bulb-and-fixture pairing the LED bulb is going to be the near-term point of failure. When an LED fails, you need to replace it. In the integrated solution, you now need to replace the entire fixture, which—as the above paragraph suggests—is an expensive fix. There is no reason to use an integrated trackhead. LED lamp manufacturers will sell them to you because they have a much higher average selling price than equivalent lamps. Light fixture manufacturers will sell them to you because they are interested in capturing the value opportunity that selling expensive LED products to consumers provides. Other than for the value of a hot new product, there is no reason to use integrated LED trackheads. The “downlight,” for this discussion, is the small circular fixture recessed into ceilings. These are cans installed between the ceiling and the floor above, with openings of 2 to 8 inches in diameter, designed to house directional and omnidirectional lighting. The aperture then may or may not be lensed. A traditional recessed can runs $10-15 and the LED lamp required costs $20-45. An integrated LED downlight costs $50-150. In our experience, a manufacturer of lighting products (Philips, Ecosmart, for example) will charge much less for an LED downlight than would a manufacturer of fixtures (Halo, for example). As with trackheads, the fixture players think of LED products as an opportunity to amplify design-driven pricing, but the LED infrastructure used by their products tends to be inadequate, especially on efficiency terms (i.e. lumens per watt). As with trackheads, we are heavily in favor of traditional fixtures with LED lamps installed—it’s cheaper, the light will be better, and the maintenance profile is superior (think changing a light bulb versus rewiring one of your light fixtures). You can also end up with a much better looking downlight housing, because even nice traditional downlights are commoditized—you load a great LED lamp into nice housing and you get the best of both worlds. In new construction, there is occasionally an appetite for integrated LED downlights based on clearance. The space between your ceiling and the floor above it (or the roof) can be precious. The clearance of a traditional downlight may run six or more inches. The clearance of an LED downlight, however, can be as low as three inches. Architects are sometimes enthusiastic about the economies of space and can thereby justify the cost and operational hassle of LED downlights. LED housing on the left, traditional housing on the right. Caveats: 1) dimensions vary product-to-product for both technologies and 2) not to scale; this is simply to demonstrate that traditional housing comes with depth that is not necessarily required of LED equivalents. The battle for the LED troffer solution is one of the hardest fought in the marketplace today. 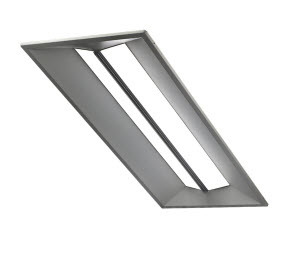 The troffer is that square or rectangular 4-foot-long fixture recessed into your office ceiling, holding between two and four fluorescent tube lights. In the case of the LED lamp solution, you remove your fluorescent tubes and install LED-driven tubes. Sometimes you need to replace the existing lamp ballast with an LED-compatible one. In other instances wiring around the ballast (ie. main line voltage is wired to the tombstones) is necessary, but increasingly no electrical changes are required at all. A simple light-out-light-in move is sufficient. Implementation of the LED-integrated troffer involves removing lamps, panelling, sockets, and wiring. Subsequently, the LED product is fitted into the rectangular hole left in the ceiling, wired to the main line, and attached to the t-bar. The labor required generally involves 15-20 minutes of a certified electrician's time per troffer. The hardware for a conventional fluorescent tube troffer—including junction box, back panel, ballast, sockets, and lens or louver if relevant—is between $60-110, depending on design. LED tubes compatible with typical fluorescent troffers cost $30-$40 per unit. So a three-tube troffer, outfitted with LEDs, costs $90-150. An integrated LED troffer, with output equivalent to two or three LED tubes costs $120-170. The troffer is the one application where the right choice between integrated products and LED lamps loaded into traditional fixtures depends on whether the project is new construction or a retrofit. If the project is a new space, and therefore requires purchase of fixtures from scratch either way, the difference between the integrated LED fixture and the conventional one is minimal. If the project is a retrofit, however, a tube-for-tube swap is easily the best option—especially if you can find a product compatible with existing ballasts. You may be able to load two LED tubes into a typical troffer and emit more and better-looking light for $70 plus minimal labor—compared with $130 product and $20 labor cost per unit. Surface area explains why the cost difference is so much smaller in the troffer product group than in downlights or track lighting. 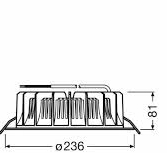 Generating adequate light while managing waste heat in a troffer, with 1,000 inches of surface area, is a much more manageable engineering challenge than those facing designers of a 28-square-inch downlight or 3-square-inch MR16 track light. The lighting industry faces a mathematical conundrum with the advent of LEDs—the technology has dramatically increased the prices of products sold, but the longevity of those products will quickly reduce sales volume. In response, the industry will continuously release new products, hoping users will replace their LEDs due to obsolescence long before the end rated lifetimes. Some product innovations, like equipping lamps with communications capability, will be enormously helpful to users. Others, like integrating LEDs into a trackhead, will not. Our advice is to focus on brands known for quality light and reliable products—but maintain a strict price discipline where integrated products are concerned.